What Type of Bankruptcy Do I Qualify For? Yes, it’s true. A Chapter 13 bankruptcy will STOP A FORECLOSURE SALE. Chapter 13 bankruptcy is the Swiss army knife of the bankruptcy world. Although it seems kind of weird to get excited about the power of a Chapter 13 bankruptcy, when I started my career as an Omaha bankruptcy attorney in 1989, I was immediately drawn to the super powerful tools available for people who filed a Chapter 13 bankruptcy because it could help so many people and families save their home, save their vehicle, get out of tax debt, stop lawsuits and basically get their life back without losing the things that mattered most to them. Although a Chapter 7 bankruptcy is a good option for some, a Chapter 13 is really a much better choice in many situations. For example, to save your house from foreclosure, a Chapter 13 bankruptcy is the way to go, not Chapter 7. Homeowners in Nebraska are typically faced with fast-tracked foreclosure laws that do NOT require a judicial proceeding. This means that you can lose your house at a foreclosure sale without being sued. Everything is handled privately with the mortgage company’s foreclosure attorney. Your are first sent a certified letter called a NOTICE OF DEFAULT. You generally have 30 days to bring your mortgage payments current and if you fail to do that you then receive a NOTICE OF SALE. Bankruptcy attorneys call this a foreclosure sale date. What is worse is that this all happens within a short period of time. 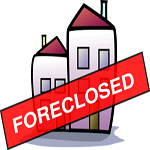 In fact, it is possible to lose your home in foreclosure in as little as nine (9) weeks! Although the process usually takes longer than that, a mortgage company could truly take your house back in that time frame. Since the 2008 financial crises, many homeowners have been attempting to negotiate loan modifications on their mortgage. This can be a great thing if you are approved but my observation as a bankruptcy attorney in Omaha is that very few people actually qualify. What is worse is that mortgage companies lead you on until it is too late to file a Chapter 13 bankruptcy. They keep stalling and requesting the same documents and information over and over again. Then, at the very last minute, they tell you that you don’t qualify and foreclose your house very shortly thereafter. Seriously, as an Omaha bankruptcy lawyer, I have seen this over and over again. My bankruptcy advice to people in this catch-22 situation is to continue aggressively with the loan modification process but also prepare to file a Chapter 13 bankruptcy to stop the foreclosure sale as a backup plan. In other words, have a Plan B in place in case your mortgage company denies your request for a loan modification or debt workout plan. At the very least, meet with a Chapter 13 bankruptcy attorney to learn what you need to do to file a Chapter 13 bankruptcy at the last minute. Initial bankruptcy consultations are provided free of charge and they are totally confidential. Filing any bankruptcy is never anyone’s first choice and nobody wants to file bankruptcy if there are other options. But, sometimes life’s events create situations where filing a Chapter 13 bankruptcy is the very best option. Chapter 13 bankruptcy works! And, it works fast. There are many, many other features only available in a Chapter 13 bankruptcy that can truly help if you are in bad way financially. More foreclosure prevention information is available here. 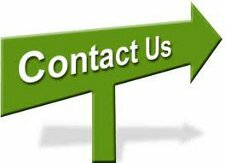 Our team of Omaha bankruptcy lawyers is here to help! This site is not intended to constitute legal advice, nor does it create an attorney-client relationship. The materials on this site are not guaranteed to be complete or current, and they should not be relied on as a substitute for legal advice. This site conveys general information related to bankruptcy law in Omaha, Papillion, Bellevue, Gretna, Council Bluffs and surrounding communities. If you are contemplating or involved in any matter in which legal advice or other expert assistance is required, the services of a competent professional should be sought. The determination of the need for legal services and the choice of a lawyer are extremely important decisions and should not be based solely upon advertisements or self-proclaimed expertise. This disclosure is required by rule of the Supreme Court of Iowa. Memberships and offices in legal fraternities and legal societies, technical and professional licenses, and memberships in scientific, technical and professional associations and societies of law or field of practice does not mean that a lawyer is a specialist or expert in a field of law, nor does it mean that such lawyer is necessarily any more expert or competent than any other lawyer. All potential clients are urged to make their own independent investigation and evaluation of any lawyer being considered. This notice is required by rule of the Supreme Court of Iowa. John T. Turco & Associates, P.C., L.L.O. © 2019 OMAHA'S BEST BANKRUPTCY LAW FIRM - All Rights Reserved.